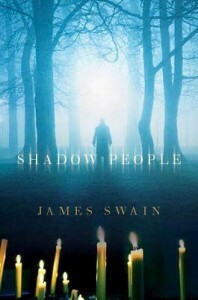 Review: Shadow People by James Swain – Escape Reality, Read Fiction! Peter Warlock is a magician, one like David Copperfield or Harry Houdini. He pulls rabbits out of hats and saws his assistant in half. Except that Peter Warlock also has more than a bit in common with Harry Dresden, that other famous wizard (or warlock) of urban fantasy. Some of Peter Warlock’s stage tricks are all too real. Peter’s stage name, and stage persona, are a mask that he uses to hide some real magic. Peter Warlock is a psychic. He reads minds. Sometimes he can see the future. Usually when something bad is barrelling down on New York City. In this second story about Peter Warlock and his friends, the Friday Night Psychics (see my review of Dark Magic for Peter’s first outing), a group of powerful and dangerous ghosts, called “shadow people” seem to be after Peter and his friends. They keep kidnapping Peter and everyone close to him, just so they can drag their souls to the site of a future murder. Even worse it’s the latest in a long line of murders by a serial killer, and it seems that Peter and his friends are the killer’s next victims. The killer is even more dangerous because he recognizes Peter’s power, even in his incorporeal state, AND knows how to harm him. The man isn’t just a murderer, he’s one of the many minions of Peter’s nemesis, the demonic Order of Astrum. The only question is whether Peter can stop him before he kills again, all the while trying to fend off the misguided affections of a witch who is scrying (spying) on his every move and while he’s attempting to preserve his relationship with the only normal woman he has ever let into his life. Dying might be easier, if only there literally wasn’t the devil to pay. Escape Rating B: In my review of the first Peter Warlock book, Dark Magic, I did say that if there were further books in the series I would be a very happy reader. Color me happy. The Peter Warlock series should probably be the dictionary definition for dark fantasy. It’s not quite urban fantasy, although it has a bit of that flavor. The setting is contemporary New York City, after all. But it’s a NYC in which magic works, albeit only for a select and secretive few. Very few people believe and it is all too easy for a practitioner to either end up in a psychiatric ward or become a government experiment. Neither outcome is desirable. There are demons. It’s part of Peter’s past, and possibly future, that his parents were killed by a group that dedicated itself to evil, The Order of Astrum. A group that they once belonged to. There is a dark side to the force, and its minions are everywhere. Part of the suspense in Shadow People is for Peter to determine exactly who serves whom. Who is truly evil, who is merely misguided, and who is trying to help him? Nothing is clear, everything is in shadow. Peter is a fascinating character. 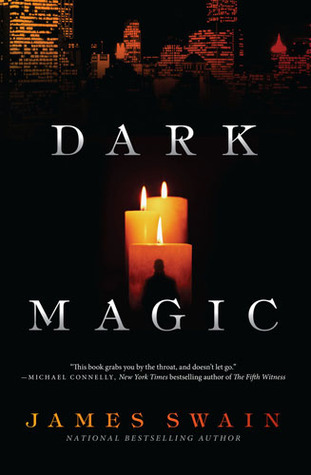 I was utterly transfixed by his story in Dark Magic, but Shadow People spent too much time talking about his relationship issues and not enough time dealing with demons and magic. While I still felt compelled to finish the story as fast as I could turn the pages, it left too many of the larger issues unresolved. 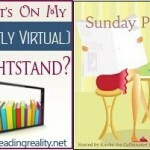 In short, Shadow People has the feel of a middle book. It ends on one hell of a cliffhanger. 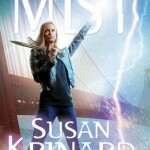 There had better be a third book in this series!